I’m fortunate to be offered last-minute tickets for concert events regularly and I’m often in need of a companion. 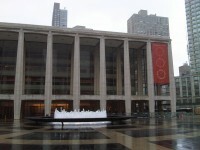 Alas, it can be hard to find someone so I often attend concerts at Lincoln Center, Carnegie Hall and elsewhere alone. There are many people who rail against the museumification of classical music, that if it is to thrive and develop, then it must be taken out of the staid concert halls of the world, most of them teeming with wealthy white people of a certain age. I empathize with the sentiment as a composer, and I’m extremely encouraged by all of the alternative spaces to experience classical music – yes, orchestral music too – in places that weren’t presenting programs just a few years ago. But I’m also one that happens to like the ritual of the concert hall experience: the crowded seats, the need to sit upright, the quiet before the downbeat, the movement of the bows. The ritual, which is clearly uncomfortable for many judging by the wheezing coughs between movements, is one where I feel I can connect with music without distraction. And unlike my cozy home, I find I can actually sit still for long periods and experience deep listening. That sounds a bit newagey I know, but I think concert listening is one of the few things that is both communal and solitary. As an outgoing introvert, it appeals to me. As a composer, I’m regularly recruiting friends and family to attend concerts of my music. 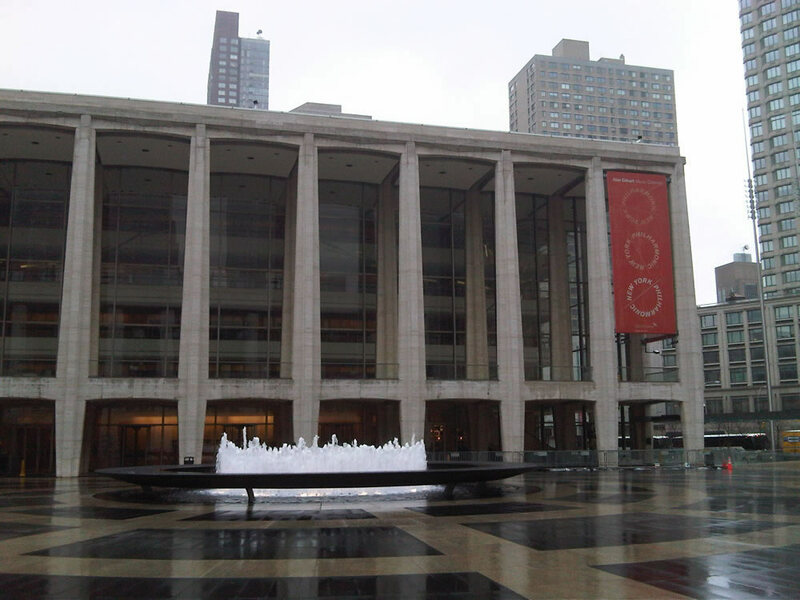 Like many others I know, I’m disheartened by the fact that concerts of new music – or those whose programs contain some new music – are attended by a proscribed new music coterie, at least in New York, which namely consists of other composers. Though it’s always a pleasure to run into old friends and fellow supportive musicians, the need of expanding audiences is – and should be – central to any composer’s business. Fortunately, I have a small handful of non-musician friends who attend concerts of my work. I must cite my good friend Mary Beth. Though she married a folk musician, she herself plays nothing but has omnivorous musical tastes. She and I can wax lengthily on obscure punk rock and postpunk until the bartender yawns and flicks on the lights. I gained a whole new respect for her after she invited me to a punk show in a dark Brooklyn club last year, the reasons why I was the only one willing becoming clear to me when the band took the stage. The first teeth-throttling chord hadn’t finished sounding when an elbow flew up into my eye and sent me flying. Mary Beth stayed in the very middle of the moshpit – managing to keep a deathgrip on a beer, purse and the edge of the stage – for a full hour. Needless to say, she’s not a typical orchestra patron though she would enjoy the experience and have a lot to say. In fact, among all my friends, musician or otherwise, she is one of the few that actively engages me in discussion of my music and can recall details days and weeks after attending a performance of my works. I want to include her whenever I have a performance or when those last-minute orchestra tickets come up. Since I have several friends active in music, the main reason they don’t attend more orchestral concerts is that new music still figures into so few programs. Scanning the listings of a couple of major orchestras in my part of the world, it’s appalling to find more programs still of Beethoven and Brahms. I don’t question the greatness of the music for a moment, but if orchestras are looking to build audiences, a little new music – not just an early 20th-century piece by a dead European male – couldn’t hurt. Of course, orchestra management would argue the reverse: that new music keeps the crowds away. To that I would say, how about programming lesser-known works by the masters or exploring some of the byways of centuries past? A performance of the works of Ries – to use but one example – puts Beethoven in better perspective. There’s not enough room here to list the excellent works never programmed by American orchestras but which find their way onto European orchestra programs. And there’s no shortage of great new music for orchestra. Just ask the patrons of the Cabrillo Festival. When I was 15, my parents and I traveled to Chicago via train (how quaint!) from suburban Detroit. Though weaned on rock and playing the electric guitar for three years, I couldn’t have been prepared for the life-changing event of experiencing the awesome sound of the Chicago Symphony Orchestra under George Solti. On the program was Stravinsky’s Symphonies of Wind Instruments, to this day one of my favorite pieces. The sight of a stage only one-third full and absent strings, was a bizarre one that stays with me years later. More bizarre was the blocky, amelodic piece that created an overwhelming impression in its sonorities, its strange formlessness and lack of development, a musical block of clay. Somewhere around intermission I became a composer. Though I may have some difficulty finding a friend to accompany me to the concert hall all these years later, I’m more than grateful for my parents who took their son to the orchestra and which inadvertently led me to a life in music.